We’re having a Venice Adventure and it’s lovely. Venice gets a lot of bad press these days, primarily because of the crowds. I can’t say that it’s completely unjustified. 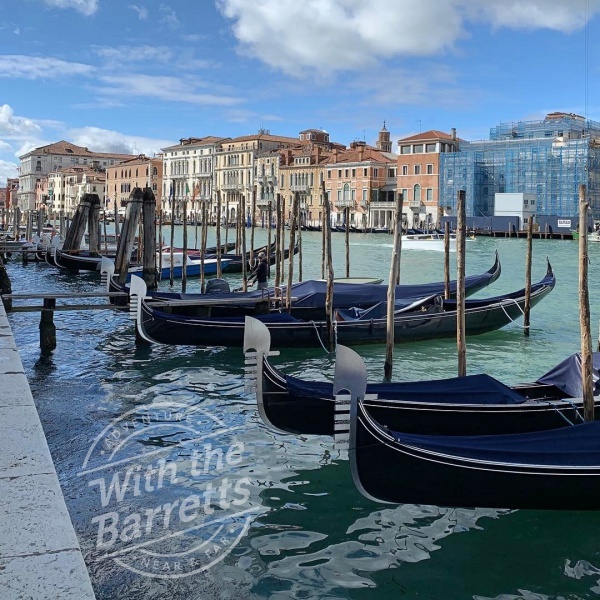 Around St. Mark’s and the Rialto Bridge, the throngs of people can be maddening, especially when there is a cruise ship (or two or three) bobbing at anchor nearby. But St. Mark’s and Rialto Bridge, as spectacular as they are, are by no means all that Venice has to offer. 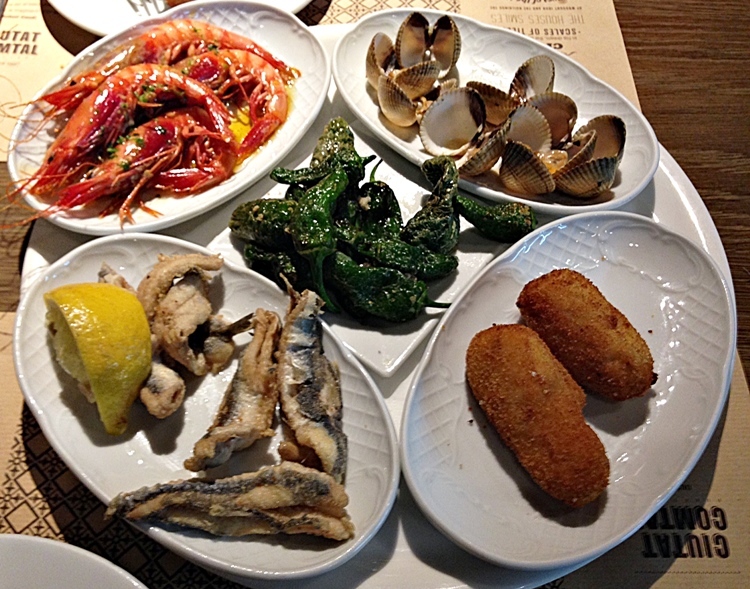 Some would even say that they’re not even the best that Venice has to offer. Count me in this latter group. 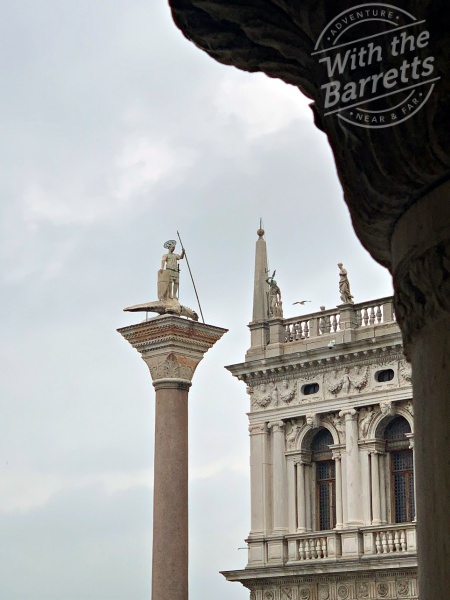 Venice is a captivating, confusing, utterly beautiful city. 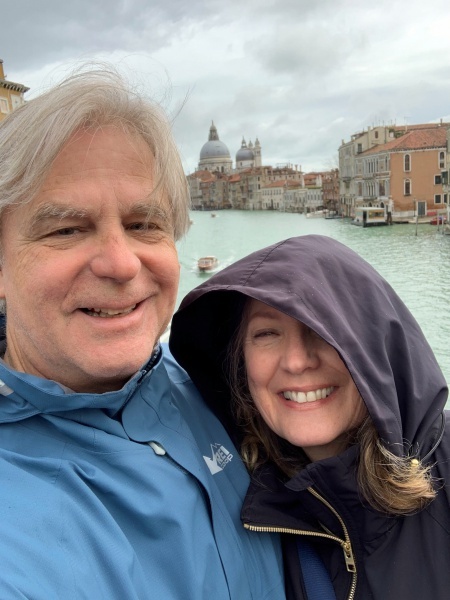 We are having a wonderful time, even though the weather has been a bit uneven (that’s Debra atop the bridge in the photo, above, with her lovely head encased in a hood against a light rain). This is a teaser post. 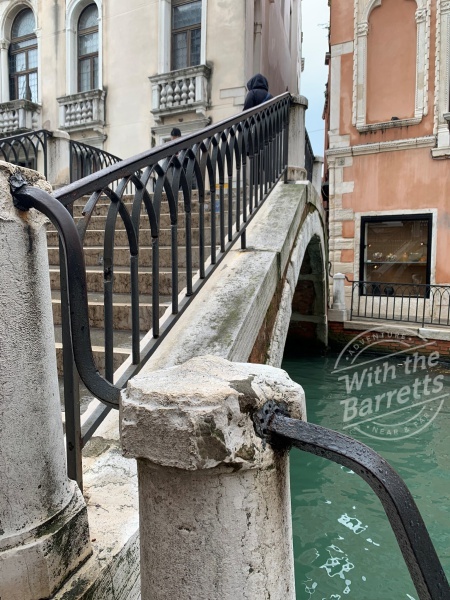 I’m not sure when I’ll get around to doing a complete post – or series of posts – on Venice but I wanted to give you just a taste. To let you know that you’re on our minds. It is a big, wonderful world out there and we hope that you’ll make every effort to experience as much of it as possible. 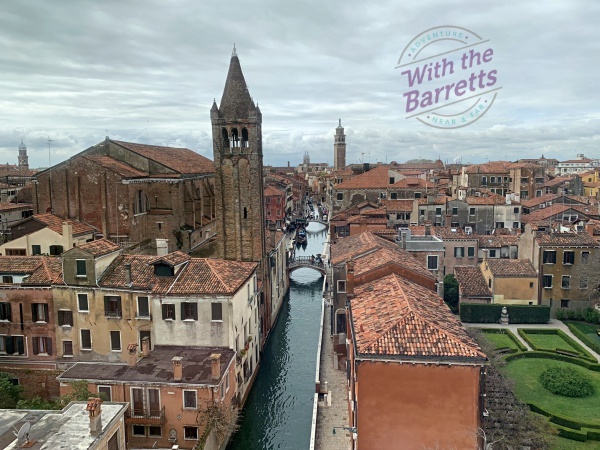 So, until we have time to sit and visit and look at LOTS of pictures, I hope you enjoy these few glimpses of a truly lovely Venice Adventure. All the best, and safe travels to you! 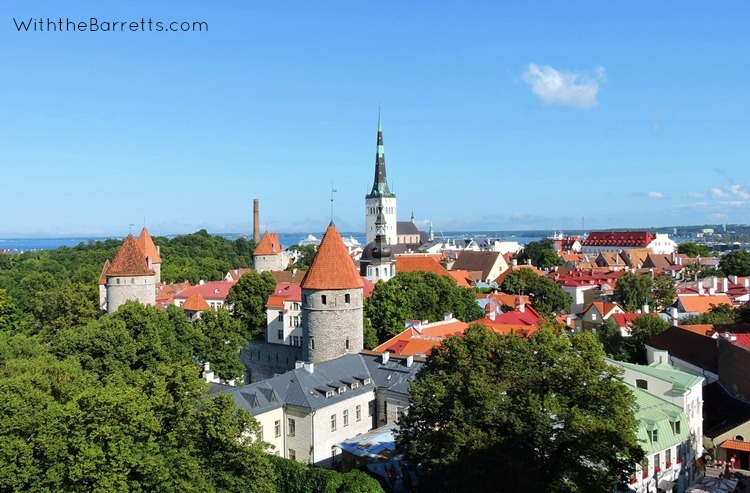 Tallinn is the capital of Estonia, which sounded sort of like the location of a Marx Bros movie. The young man we were talking to was pretty definite about thinking that it is a very cool place. And that it is. Among other things, it is (according to our server and several other sources, including the Economist) a world leader in technology. Not to mention that it’s stunningly beautiful.